Reports of farmers dying from pesticide exposure in Maharashtra’s cotton belt in Yavatmal make it evident that the government’s efforts to regulate toxic chemicals used in agriculture have miserably failed. It is natural for cotton growers under pressure to protect their investments to rely on greater volumes of insecticides in the face of severe pest attacks. It appears many of them have suffered high levels of exposure to the poisons, leading to their death. The fact that they had to rely mainly on the advice of unscrupulous agents and commercial outlets for pesticides, rather than on agricultural extension officers, shows gross irresponsibility on the part of the government. But the problem runs deeper. The system of regulation of insecticides in India is obsolete, and even the feeble efforts at reform initiated by the UPA government have fallen by the wayside. 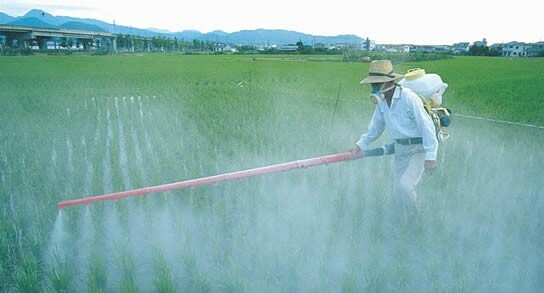 A new Pesticides Management Bill introduced in 2008 was studied by the Parliamentary Standing Committee, but it is still pending. At the same time, there is worrying evidence that a large quantum of pesticides sold to farmers today is spurious, and such fakes are enjoying a higher growth rate than the genuine products. Clearly, there is a need for a high-level inquiry into the nature of pesticides used across the country, and the failure of the regulatory system. This should be similar to the 2003 Joint Parliamentary Committee that looked into harmful chemical residues in beverages and recommended the setting of tolerance limits. It is incongruous that the Centre has failed to grasp the need for reform in the regulation of pesticides, when it is focussed on growth in both agricultural production and exports. Agricultural products from India, including fruits and vegetables, have been subjected to import restrictions internationally for failing to comply with safety norms. It is imperative that a Central Pesticides Board be formed to advise on use and disposal of pesticides on sound lines, as envisaged under the law proposed in 2008. This will strengthen oversight of registration, distribution and sale of toxic chemicals. There can be no delay in updating the outmoded Insecticides Act of 1968. A stronger law will eliminate the weaknesses in the current rules that govern enforcement and introduce penalties where there are none. Aligning the new pesticides regulatory framework with food safety laws and products used in health care will make it broad-based. After the recent deaths, Maharashtra officials have hinted at the loss of efficacy of some hybrids of genetically modified cotton in warding off pests to explain the growth and intensity of pesticide use. The responsible course would be to make a proper assessment of the causes. It is also an irony that the Centre has failed to use its vast communication infrastructure, including DD Kisan, the satellite television channel from Doordarshan dedicated to agriculture, to address distressed farmers. A forward-looking farm policy would minimise the use of toxic chemicals, and encourage organic methods where they are efficacious. This will benefit both farmer and consumer.